Our dentist is committed to helping you retain your natural teeth for as long as possible. Nevertheless, despite yours and their best efforts, you will almost certainly find that you need some sort of dental work at some point during your lifetime. In many cases, this treatment takes the form of a dental crowns. Crowns are hollow, tooth-shaped caps that sit over the top of affected teeth, holding them together and protecting them from further decay and damage. The crown looks and acts just like a regular tooth, meaning that your smile and the function of your teeth is in no way compromised. Traditionally, crowns are created from porcelain or porcelain fused to metal and require milling off-site. This means that you will need to attend several appointments. The first will involve taking putty-based impressions of your teeth which will be used to design and build your restorative crown, and prepare your natural tooth to receive it. You will be fitted with a temporary crown while the final version is milled off-site. Around a week later, you will be asked to return to have your final crown placed. However, today there is an alternative that shortens the process and provides you with a superior dental restoration – CEREC. We are delighted to be able to offer CEREC services to our patients, enabling you to benefit from this innovative new process. CEREC stands for Ceramic Restorations and is a newer and more streamlined process for receiving dental restorations including crowns. One of the main reasons for this is because it uses CAD CAM technology. CAD/CAM stands for computer-aided design and computer-aided manufacturing. CEREC technology combines a camera, computer and precision manufacturing into one solution. If you have never had a CEREC restoration before, you will undoubtedly want to know what will and happen and what to expect. Here is our step-by-step guide to the process. 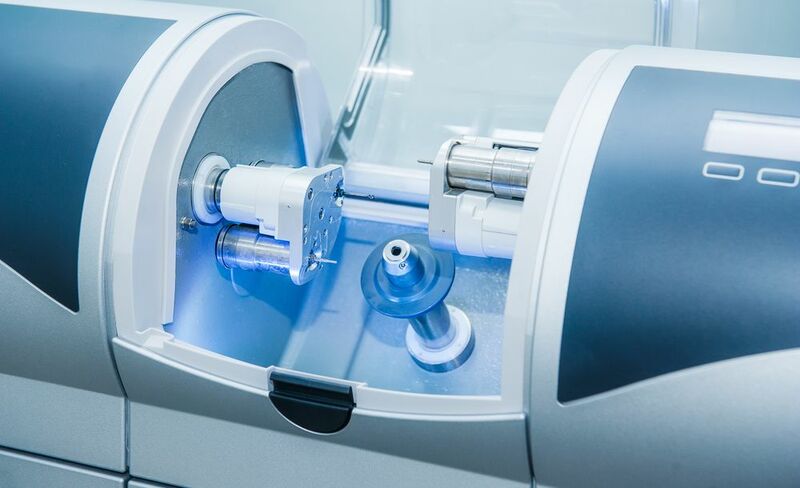 Rather than using conventional putty to take impressions of your teeth, images of your teeth are taken using CEREC’s cutting edge CAD/CAM technology. This ensures that the images taken are of the highest quality and accuracy. These are integral to the design of your restoration. After analyzing the images taken of your teeth, the CAD element of the CEREC software generates one or more designs for your restoration. You and our dentist can select the one which is most appropriate and send it to the manufacturing stage of the process. Each CEREC restoration is created from a solid block of zirconia, which is the strongest material currently available for dental use. The CAM element of the technology then mills the restoration for you based on the design that the CAD function has created and you have approved. While this is happening, your affected tooth will be prepared to receive the new crown. Full-contour zirconia restorations are sintered and glazed chairside in the compact CEREC SpeedFire. What are the benefits of choosing CEREC technology for your dental restorations? - Convenience. The entire CEREC process can be carried out in just one appointment and you can leave with your high quality, permanent restoration the very same day. - Preservation of more of your natural tooth. Traditional crowns usually require a great deal of the natural tooth to be removed so that the restoration fits properly. However, CEREC crowns need far less of the existing tooth to be removed, minimizing prep time and associated discomfort. - Mess-free impressions. Some people absolutely hate the feeling of the putty that is usually used to mold restorations, and even after it has been taken out and you have rinsed your mouth it can still feel gross. Fortunately, CEREC technology means that everything is done with computer programming – a much cleaner and more pleasant experience. - Strong, attractive restoration. Zirconia is currently the strongest and most natural material available for use in dental restorations. Milled directly from a solid block, your crown will both look and feel fantastic, and with the right care, should last a very long time. If you would like to find out more about CAD CAM / CEREC technology, or if you are interested in scheduling an appointment to discuss a CEREC restoration, please don’t hesitate to contact our offices.